California is the home for beautiful rivers like the Colorado River, Klamath River, and the American River. One of the most popular activities in the American River, especially in the Middle Fork American River is the Whitewater Rafting. If there’s one thing you’d need to try in this area, that would be getting your adrenaline pumping with a great rafting trip. If you’re new to rafting, the Middle Fork of the American River is a good starting point to try this sport. The river tracks will offer that sought-after adrenaline-pumping experience without life-threatening risk. 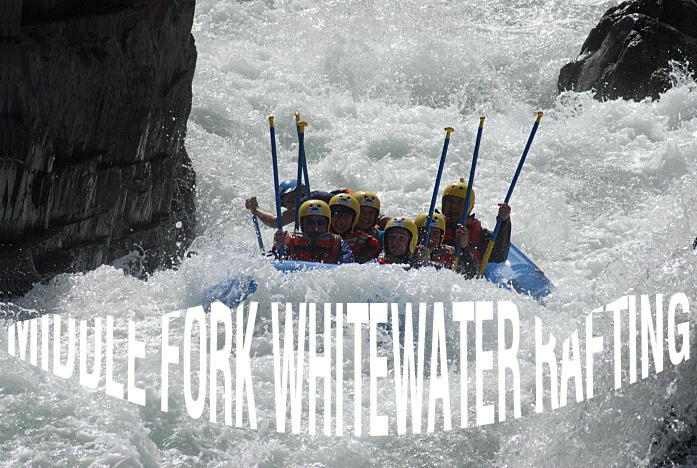 This is also a perfect place to continue rafting after experiencing the tracks from the South Fork. According to NatGeo, the experience is also worth it for people who are searching for a way to escape work and electronic distraction. Middle Fork is located about 30 minutes from Auburn. Its location is about 50 miles North East of Sacramento and 140 miles East of San Francisco. The river is located at the middle of James Marshall Gold Discovery State Park. It is known for Class III and IV rapids, which offers moderate, irregular waves that need complex maneuvers. Rafting is only available for 12-year-olds and above and everyone is required to have their own paddles. You can raft the river on your own, but if booking trips options such as from American Whitewater Expeditions are popular if you want to bring your friends along. There are long tracks of calm currents between the fast currents, so you’ll have a plenty of time to get some Instagram-worthy shots. If you start in the morning, you’re up for a good riverside lunch in the afternoon before resuming the rafting. One of the biggest events in the track is the popular big drop, a seventy-five feet class III drop and will end at the Tunnel Chute Rapid. An underground cave awaits, and this, too, is a wild experience, an additional wonder to see while rafting. After the drop, a Class III rapid is waiting for you to paddle on. This rapid will open up to the Kanaka Falls also known as the Cartwheel, which is a class IV rapid. What’s next after this is a peaceufl1.5 miles class I and II rapids. Be sure to prepare for the next as drop at Chunder, which contains an eight-foot drop in the middle channel. This will be followed by a nastier rapid, the Ruck-A-Chucky. The track will end with a Class III rapid called the Catapult.